I’ve been posting a pumpkin recipe at least once a week since the beginning of September. I don’t know about you, but I happen to love that. However, I realize that some of you may be tired of #pumpkinflavoredeverything, and for those of you that are over the pumpkin recipes, I’m giving you a week off. You guys all know that I’m pumpkin-obsessed, right? But…I also love salted caramel and apples. Apples happen to be my favorite fruit and you can find a sliced Granny Smith apple on my lunch plate nearly every day. 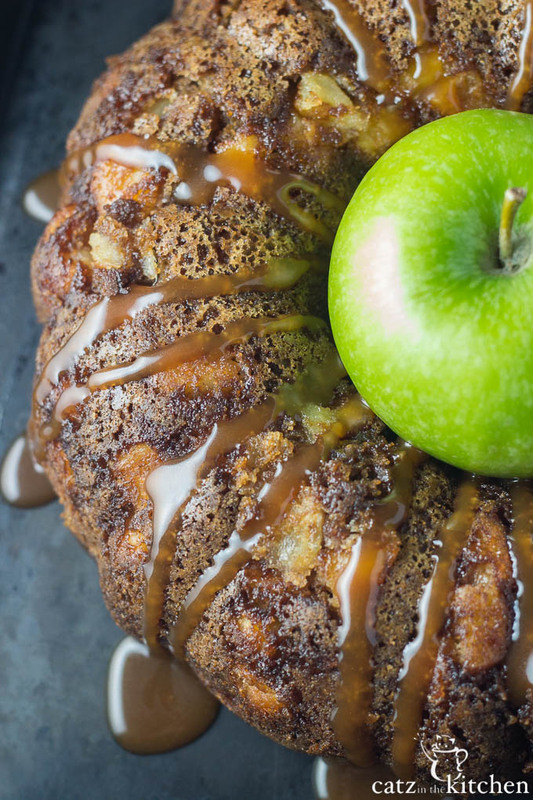 It just makes sense that an apple-infused dessert drizzled in salted caramel would be my next favorite “fall” favorite. Last year, we made this cake in adorable little mason jars in the Homemaking & Hospitality class I attend. I remember loving the texture, flavor, and look of it…and I couldn’t wait to make it for the blog! 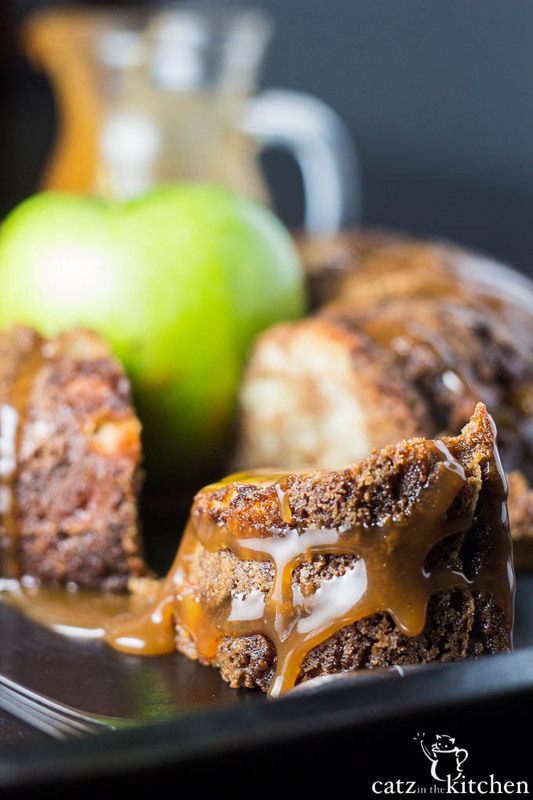 Obviously, I never got around to making it last year, but when I made my list of autumn-inspired desserts I wanted to share with you all, this one was on the list and BOY, it is something else! I don’t make cakes all that often because, well, cake is a lot for five people to consume (three of whom are small…), and I always feel kind of weird giving half sections of cake or pie to people. Plus, Josh isn’t a cake guy. He’s more of a pie guy. That right there says a lot. What I love about this cake is the crunchy crust of the exterior. It is just kind of amazing and it makes you want another bite, and then another one, and then one more…and well, you get the idea. This cake would be so beautiful for a festive gathering, potluck, or even for a birthday cake! 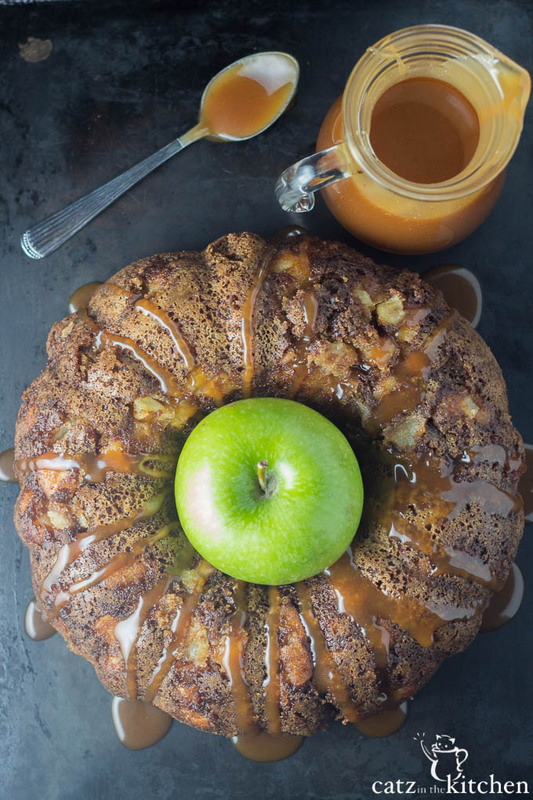 Need a break from pumpkin recipes, but still want to be festive for fall? 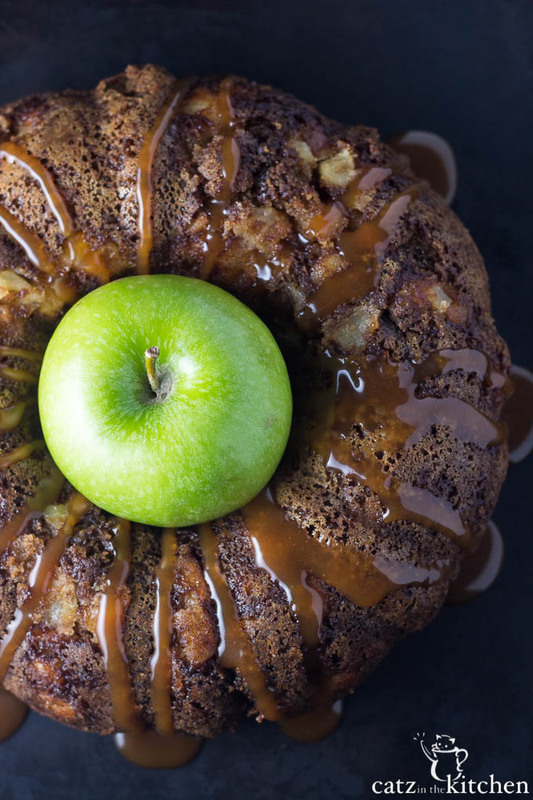 Try the salty sweet goodness of this outrageous Salted Caramel Apple Cake recipe! This is my favorite salted caramel sauce. I've made several different kinds, but I always go back to this one. In a large mixing bowl, cream together sugar, butter, and eggs. In a separate medium sized bowl, whisk together the dry ingredients. Add chopped apples and vanilla extract and mix with a flat beater if using a KitchenAid or use a white spatula to fold in the apples and extract. Pour the batter into a greased Bundt pan , (The batter will be thick) and bake for 45 minutes. Alternatively, you can grease 16 half pint canning jars for about 25 minutes or until the toothpick comes out clean. Just be sure to fill each jar with about 1/2 cup of batter. 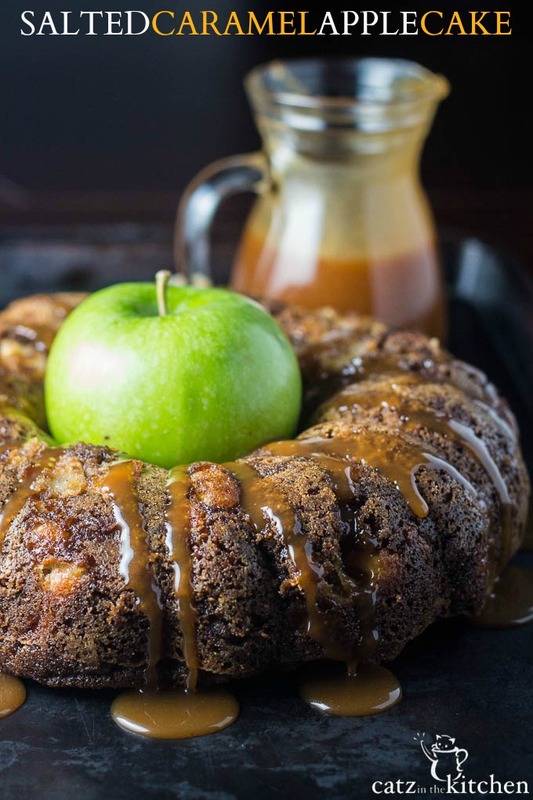 Let cool a bit after baking and drizzle with Salted Caramel sauce or vanilla ice cream.